The Project Team at Kent are responsible for construction contracts on both the Canterbury and Medway Campuses. Programmes of work include new builds, space rationalisation, perception upgrades and teaching room refurbishments. Recently there has been up to £100m of construction projects on site representing a £130m investment by the University. 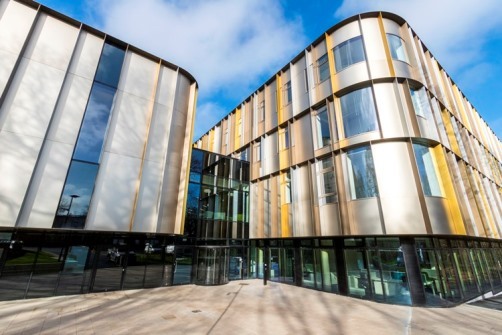 The new building will create a vibrant new campus destination for Kent Business School and the School of Mathematics, Statistics and Actuarial Science, bringing together academics, students, researchers and administrative staff. Image: Artist Impression. Design and development of a new academic building which is flexible in its use and adaptable for occupation by a range of potential stakeholders at the campus. The new building is intended to consolidate the school in a dedicated facility providing drama, art and film studios, teaching rooms, a post-graduate centre and academic and administrative offices.